A space saving, drain-easy universal reinforced leisure hose which is a popular choice for the caravan and marine industry for the conveyance of water. Marine SuperFlat features quality Braidlok technology and is supplied with deluxe quick-release fittings and an easy to handle dispensary wheel. Compact for convenient space-saving storage. Compatible with most leading brand garden fittings. Supplied with Deluxe Quick-Release Fittings – Universal tap connector and adjustable spray nozzle. 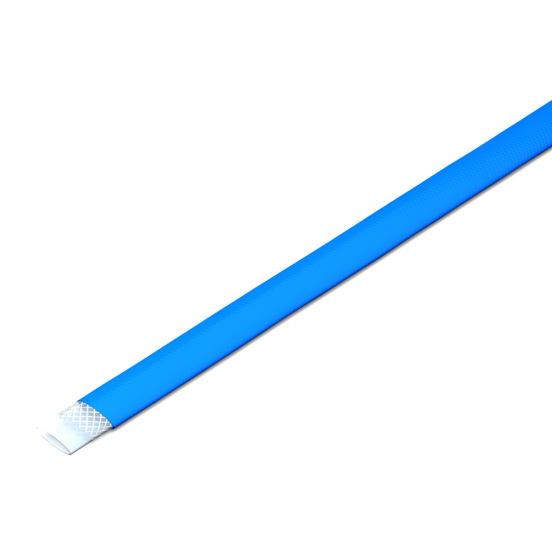 Other lengths and colours available on request (supplied without cassette).